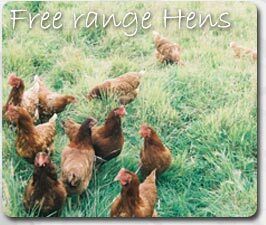 We have up to 250 laying hens and an acre of grass for them to roam and scratch in. Their house is plenty big enough for them to roost at night, safely away from any sly fox. The nest boxes are specially designed for comfort and to keep all those tasty eggs safe until we go down and collect them as the sun rises and falls. We have a rotation of chickens to ensure that we get the best quality and quantity possible, so the chickens only stay with us for about a year. We make every effort to re-home the chickens as garden birds after the year and those we can’t re-home go to market. 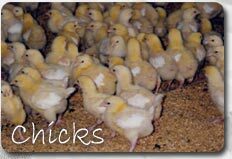 We have chicks in every 6 months, most of which we keep, some of which we sell as point of lay. This means we always have enough eggs to keep up with the demand. The brooder shed is down at the bottom of our garden so we can keep a very close eye on the chicks. They spend the first 16 weeks warm and cosy with their every need attended to so that they grow at a steady rate. Once they are big enough they then go out to the field so they can start laying the eggs.